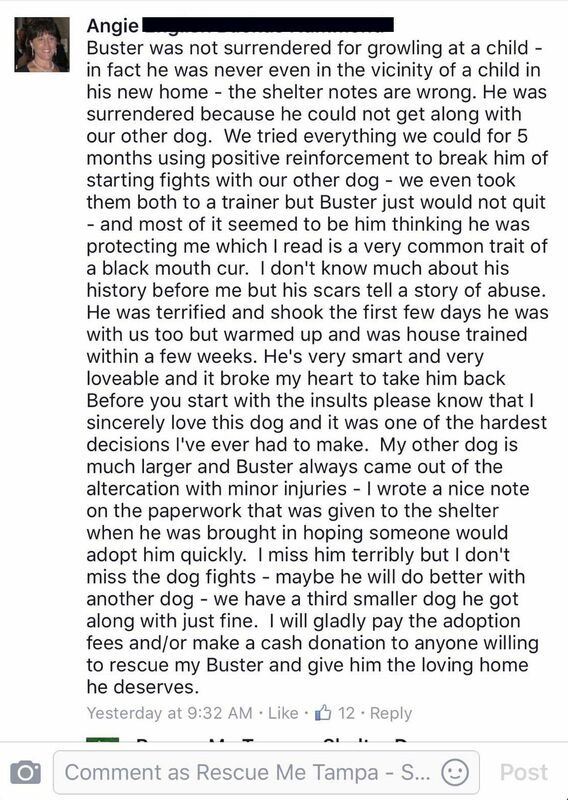 The original article describing Buster’s plight was updated with this information. By 9:00 a.m. the shelter had received around 20 emails from people wanting to help save him. He was adopted the next day. Buster’s next hurdle will be getting used to a new family and a new situation. 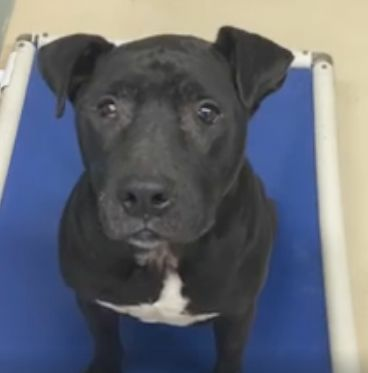 Buster has been saved, but at least one dog who escaped being killed today is still on the kill list. If his kennel is needed tomorrow, he will be killed. Thunderbird is a handsome young dog. But he has a few strikes against him. Thunderbird is a black dog in a country where the highest percentage of shelter dogs killed are black. He is also listed as an American Staffordshire terrier. While he is heartworm negative, he is a high energy dog. 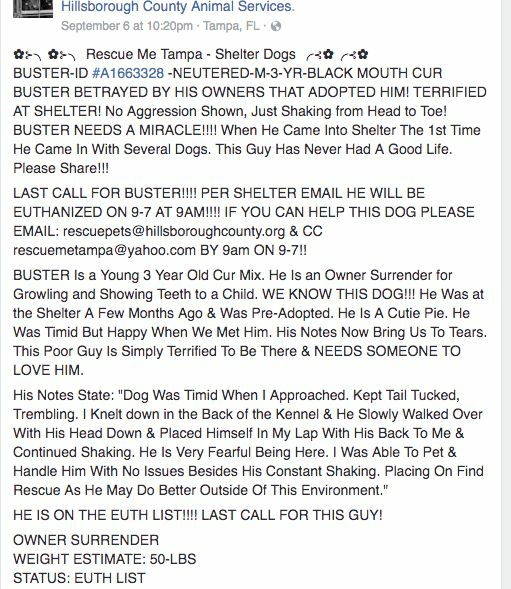 He is at the Hillsborough County Pet Resource Center, 440 N. Falkenburg Road, Tampa, FL 33619. The phone number is 813-744-5660. The shelter is open daily from 10:00 am to 7:00 pm. 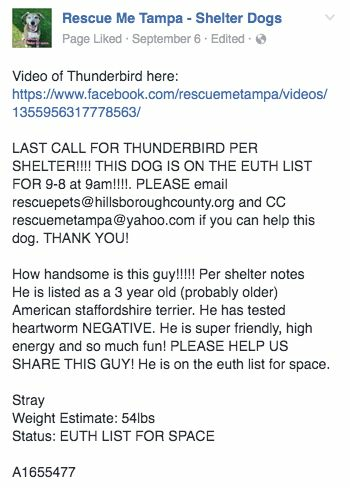 Dogs like Thunderbird are killed in shelters every day. A medium-sized black dog — there are several in every county shelter. Each one deserves to be noticed, and each one deserves to be loved. The volunteers at Rescue Me Tampa and the shelter workers give the dogs a little bit of love while they are there.